September is right around the corner and as kids head back to school, many need to pack a healthy lunch to take along with them. 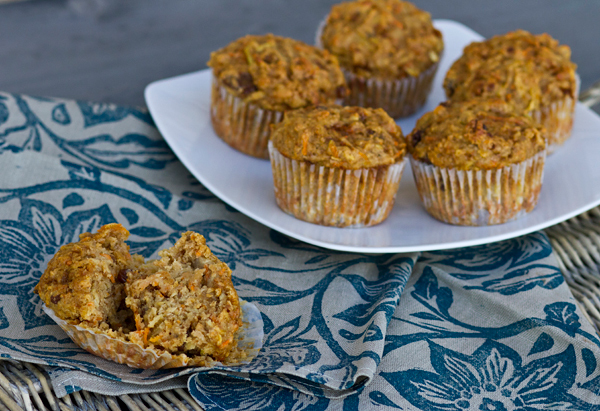 These apple carrot muffins would be a great addition to any school lunch as they are packed with fiber and nutrition and are moist and delicious too. Think carrot cake flavor but much more nutritious! I used a fine grater for both the apples and carrots so they blend into the muffins well, and I used oat flour in place of the all-purpose flour for added nutrition. This is a large recipe that makes 16 muffins, but they do freeze well, so feel free to pack away half of them in the freezer for future lunches. Carrots are perhaps best known for their rich supply of the antioxidant nutrient that was actually named for them: beta-carotene. 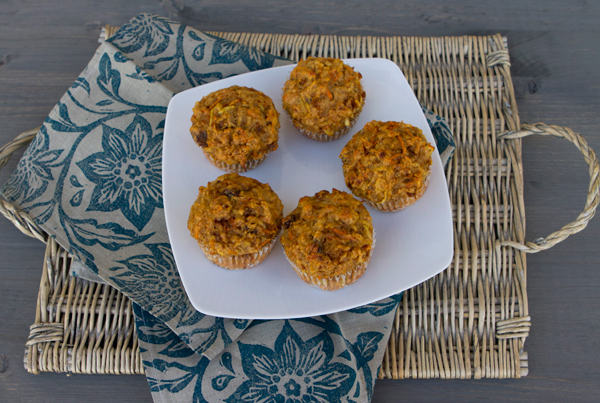 Apples are high in fiber and a good source of vitamin C.
The addition of grated apples and carrots as well as fat free yogurt helps to keep these muffins moist with minamal fat used. 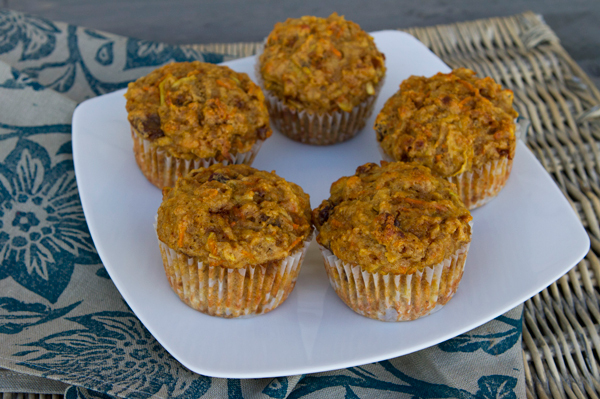 A very moist "carrot cake" flavored healthy muffin. Preheat oven to 400 degrees F. and place paper liners into a muffin tin. In one bowl, mix together the all-purpose (or oat flour), whole wheat flour, oat bran, baking powder, baking soda, salt, cinnamon, and brown sugar. In another bowl, use a whisk to mix the eggs until blended, then add the yogurt and butter. Pour the egg mixture over the flour mixture and stir just until mixed. Stir in the carrots, apples, raisins, and walnuts, being careful not to overmix. Spoon the batter into the muffin tins, sprinkle the tops with the brown sugar, and bake for 15 to 20 minutes until set.